Alexander Campkin is a British composer and conductor. He has performed or broadcast in over thirty countries. As a composer, Alexander has received forty commissions from organisations including the Royal Opera House, the BBC Performing Arts Fund and the Swedish Arts Council. He has been appointed Composer in Residence of Ampersandance Contemporary Dance Company, The Fulham Camerata Choir and Orchestra, The Fourth Choir and Neresheim Abbey in Germany. He features on 14 CDs, one of which was Classic FM Christmas CD of the Year. 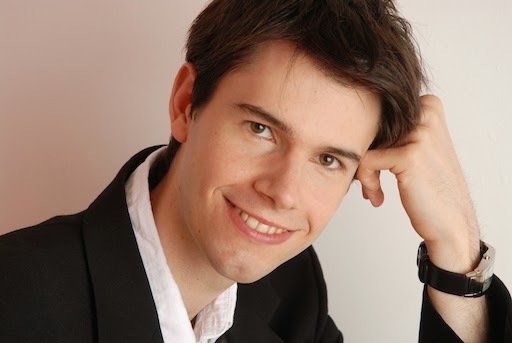 Alexander is Artistic Director of The Oxbridge Singers, minimaLIST ENsemble and Future Opera. He studied composition and conducting at Oxford University, the Royal Academy of Music and the University for Performing Arts in Vienna. His growing passion for education projects led him to found Musicalis Education with whom he has devised workshops on performance, vocal technique and composition. Looking to the 10th year of Illumination Chamber Choir, founded in 2006 by composer Miriam Mackie, and with a number of conductors including, lately, Janette Ruocco whose direction has gone from strength to strength. Following her departure, we are delighted that Alexander Campkin will be conducting the choir from October 2014. We are looking for new members – experienced singers with good sight-reading skills, and the ability to blend in a small ensemble. To find out more visit our Join page.